At first thought, a disposable coffee cup plays a fairly basic role in the day-to-day operation of a café – it’s a means of packaging & serving coffee. However, there are numerous other functions of a disposable coffee cup that can add significant value to a business & generate a lot of additional income. – Use it as an upsell for other takeaway food items: coffee served in disposable coffee cups with lids is typically consumed on the way to work, or in the office. Astute café owners often display takeaway food items at point-of-sale to entice consumers to purchase other items for the journey – these might include muffins, wraps, fruit & biscuits. These are all relatively compact items that fit easily into the compartment in the centre of the coffee cup carry tray. -Advertise the business: a business name or logo can be printed on our disposable coffee cups. This is a very valuable advertising medium due to the wide coverage & exposure it can generate for your café. Custom-printed cups are also effectively cost-free, since businesses need to pay for paper cups regardless of whether they are custom-printed or not. – Building a brand: in order to build & maintain a strong brand, all facets of a business need to demonstrate a high level of professionalism, attention to detail & cohesiveness. This applies equally to the service provided, quality of food & disposable food packaging, including disposable coffee cups with lids. Paper cups don’t need to be flashy or expensive, but a subtle & contemporary design, a robust finish & a secure lid are all necessities. – Providing an indulgent experience: the most important function of a wholesale disposable coffee cup is is to serve a beverage that will provide a great experience & an enticement to return. To this end, we supply a range of premium coffee made from 100% Arabica coffee beans. Our blends have a smooth & sumptuous flavour that’s been enjoyed by generations of Australians. 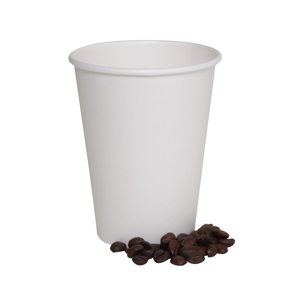 ’12oz White Paper Coffee Cups from Wholesale Direct Restaurant Supplies! ‘Sipper Lids for Coffee Cups from Wholesale Direct – delivery Australia wide.